Harmful algal blooms (HABs) are an emerging public health issue that can cause harm to people, animals and the ecosystem. An algal bloom is a visible colony of cyanobacteria or microalgae that grows quickly, causes water discoloration and looks like a floating layer of foam. It is not possible to determine if an algal bloom is harmful just by observation, and toxins may be present even when the algal bloom is not visible. Bodies of water harboring HABs can be contaminated with toxins that cause a range of mild to severe symptoms causing asthma-like symptoms, severe vomiting, diarrhea and irritated skin or eyes. The main routes of exposure to toxins are through skin contact, inhalation and ingestion. Animals are at a higher risk of exposure due to drinking or swimming in HAB affected water. In recent years, the incidence and severity of HABs has risen and this is likely due to climate change, farming practices and wastewater runoff. The US Centers for Disease Control and Prevention (CDC) recently launched the first national reporting system for HABs. 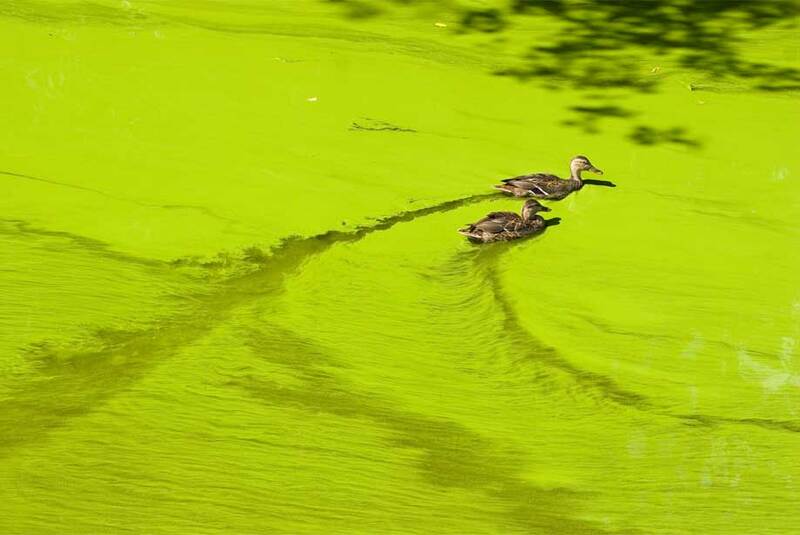 The One Health Harmful Algal Bloom System (OHHABS), is a voluntary reporting system that collects data on human and animal cases after exposure to HAB toxins. If you see an algal bloom or have concerns about the appearance, smell, or taste of the water, contact the authorities. The identification of HABs is essential to protect water and food supplies at risk. Officials will then be able to gain a better understanding and knowledge to help prevent future blooms and to alert the public of any problems. Monitoring water systems for HABs is essential for preventing HAB-Associated illnesses. Microcystins are extremely toxic compounds produced by cyanobacteria (blue-green algae). Enzo Life Sciences offers a broad range of Microcystins, including a Microcystin (Adda specific) ELISA kit for the rapid detection of microcystins and nodularins in water samples.